Corn tassels, dried seed pods, and white pumpkins complete this country chic look. 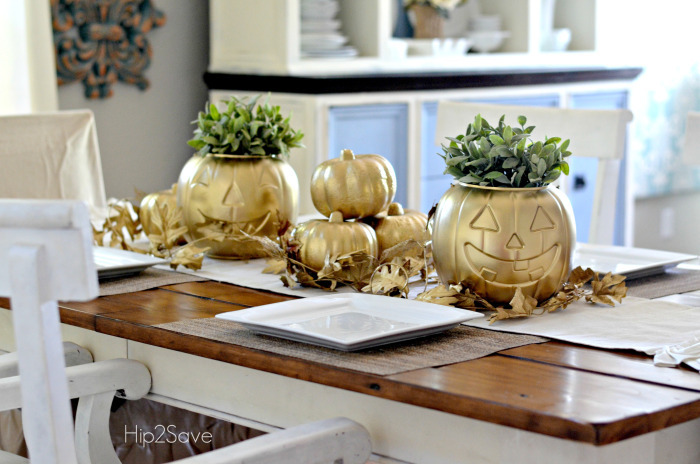 Save time and money with dollar store plastic pumpkin buckets and spray paint them gold. 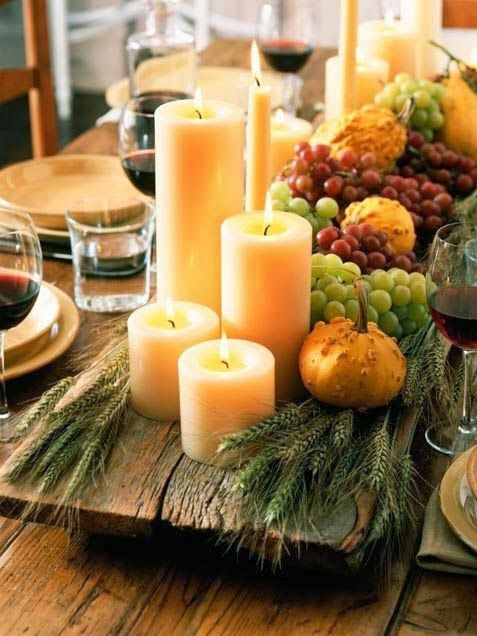 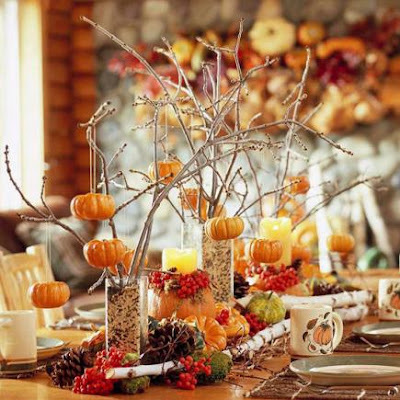 Cylindrical vases filled with birdseed provide a sturdy base for branches from which small pumpkins dangle on bits of twine while hollowed-out gourds hold candles as well as berries and fill in by arranging berries, pinecones, gourds, branches and moss around the vases. 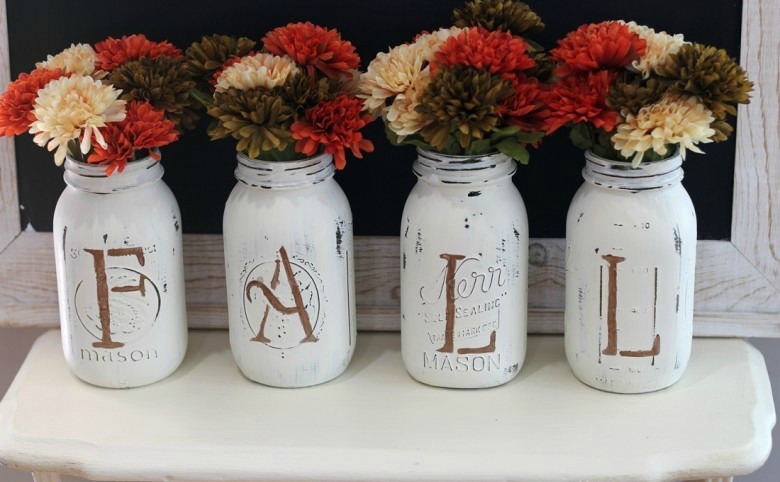 Simple, cute and to the point ~ mason jars, paint, stencils, fresh cut flowers...the options are endless to filling these up and placing them in the center of the table. 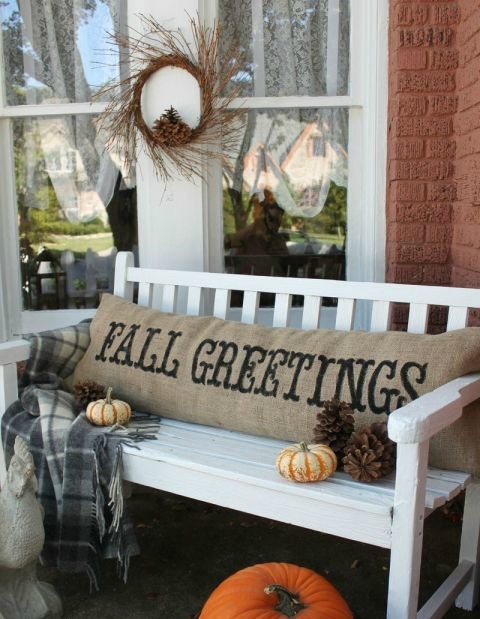 Welcome your Thanksgiving guests by giving your porch a warm autumn touch by adding a cozy fall pillow. 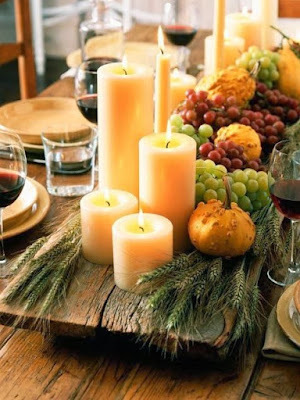 Arrange a large group of scentless white pillar candles in various heights on a large wooden tray in the center of your dining table. 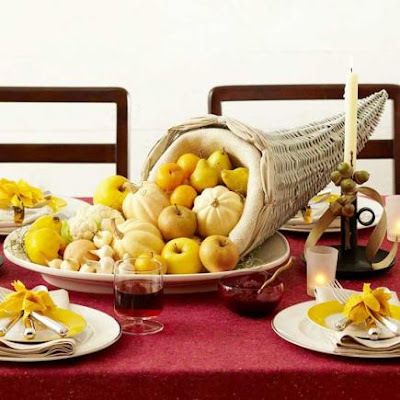 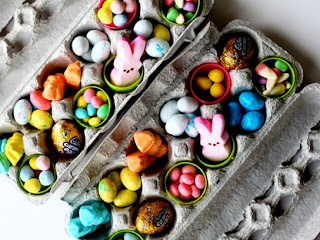 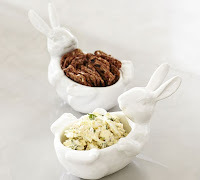 Add wheat stalks, fresh fruit, and gourds for an extra festive display. 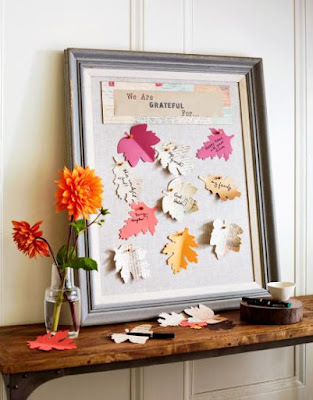 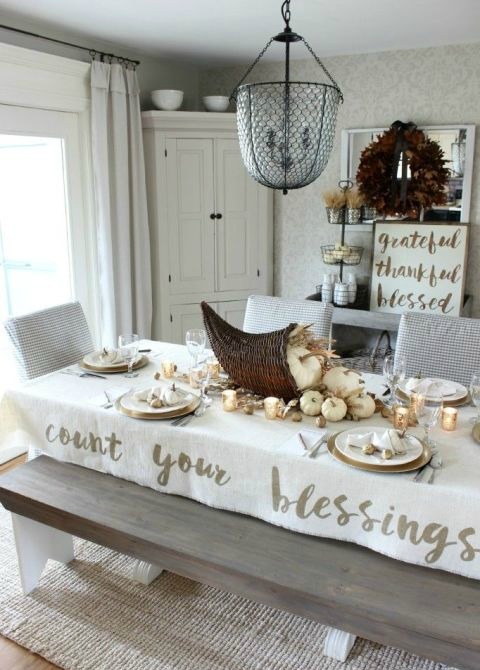 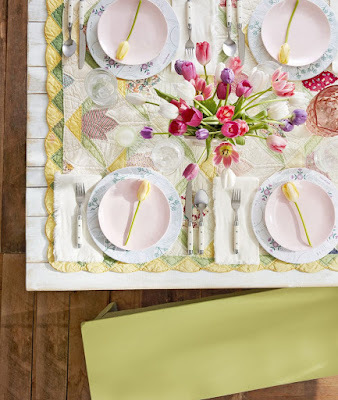 As family or guests arrive for Thanksgiving, have them write what they are thankful for on a paper leaf and pin it up. 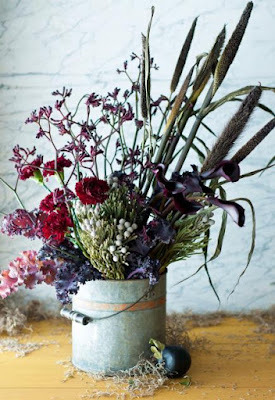 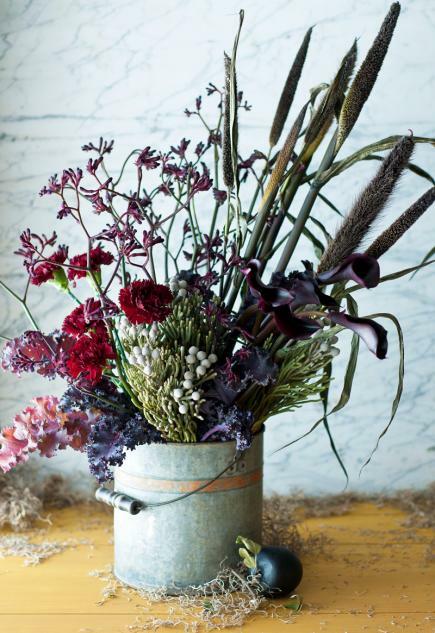 For a casual seasonal look, place an eclectic mix of deep-tone and long-lasting plants in a galvanized bucket or vintage-style vessel. 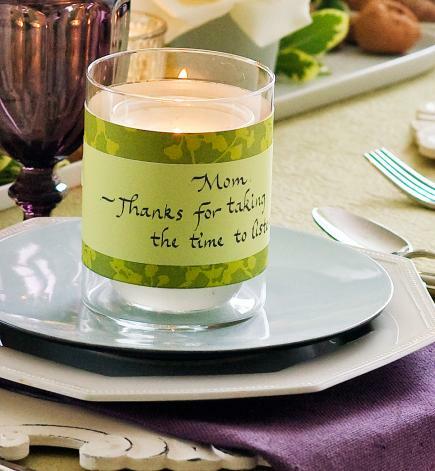 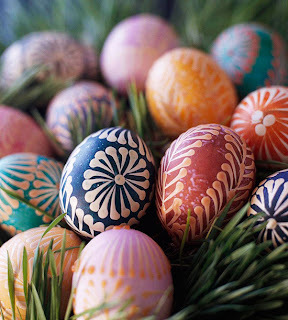 Personalize notesfor family and friends by printing a message on colorful paper and wrap it around a candleholder.